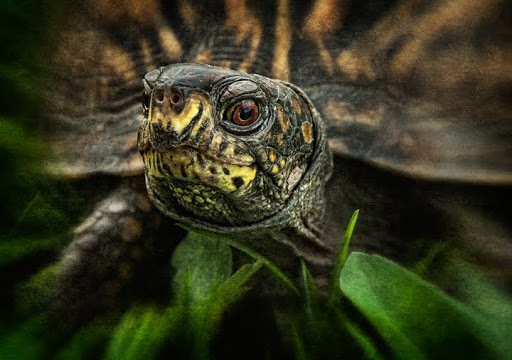 My mother-in-law found this fellow on her carport Friday, so we brought him (or her) home and released it in our meadow. 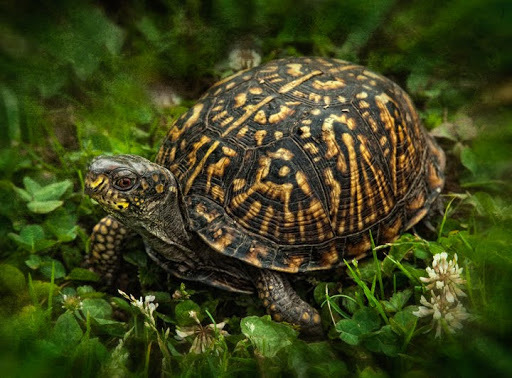 Box Turtles (or Terrapenes as we used to call them) were quite numerous when I was younger, but lately they have become endangered in our area, primarily through loss of habitat and road kills. Tyler is here in Kansas visiting and has been saving quite a few on the roadways! I can send a few back with him if you'd like! !